Once we moved to Palava in 2014, Vinod ensured that Jennifer enrolled in the badminton classes here as he wanted her to get fit as well as shed some weight. That was one decision that changed her life. She was trained under the expert guidance of Mr. Sagar from Kaustubh Virkar Badminton Academy. For a year, Jennifer’s life only revolved around badminton, wherein she learned each and everything about the sport while emphasizing on her fitness. As she grew more confident in her strokes, she participated in several tournaments. In order to compete at an advanced level, she got support from her father who travelled back and forth with her to Mumbai and Nashik during holidays and weekends. Post this, she started participating and won against advanced players in the U13 Girls Category. 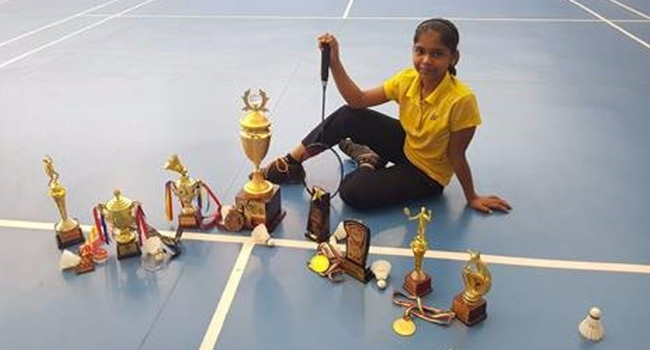 After continuous hard work and practice, Jennifer participated in the All India National Championship 2018, held in Bengaluru and secured the 1st Runner-Up position in the U13 GIRLS Category. Following in the footsteps of her sister, Andrea took to badminton at the early age of 7 and quickly learned all the nuances of the game. Her undeterred focus and the ability to grasp what is taught are the keys to her success. The first success that Andrea tasted was in the form of her being crowned as the 1st Runner-Up in the Thane District Championship in the U10 Girls Category. Since then, she’s won several competitions. She’s won the U11 Girls Championship held in the Chembur Gymkhana and she was also the Runner-Up in the U11 Girls Category tournament held at the Powai Fest. We believe that both Jennifer and Andrea’s successful journey began at Palava and they will continue to set benchmarks by using the facilities of this city.